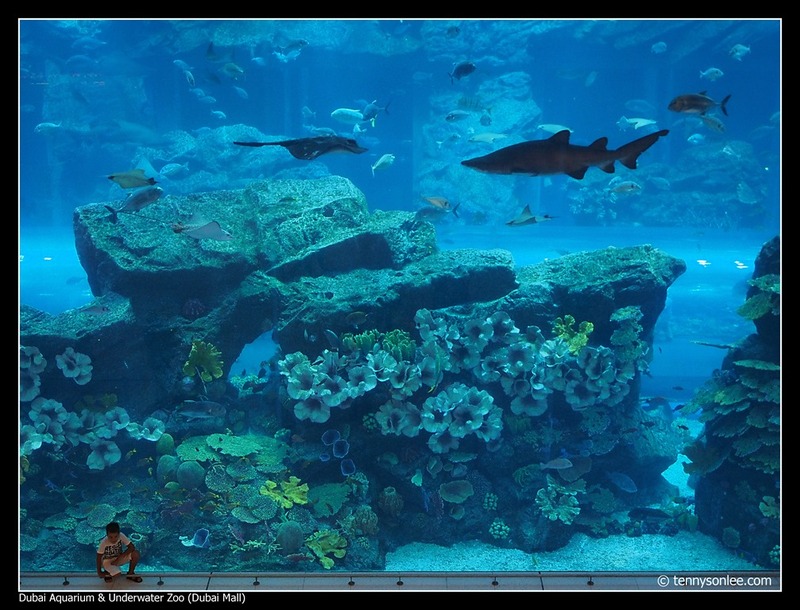 And shopping patrons can view the fantastic underwater world free of charge. 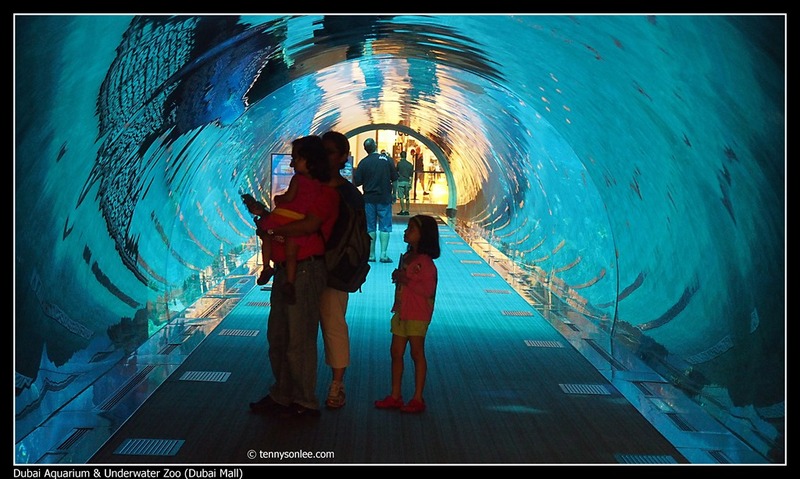 It entices you to pay for the entrance tickets to experience it has to offer. 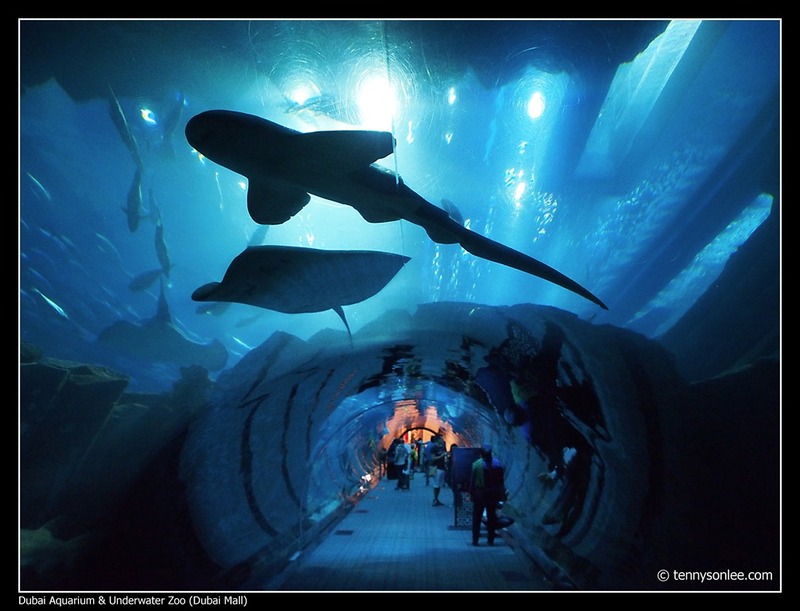 Any large size aquarium will equip with the underwater tunnel to mesmerize visitors with exotic fish like giant stingray, sharks and school of fish. 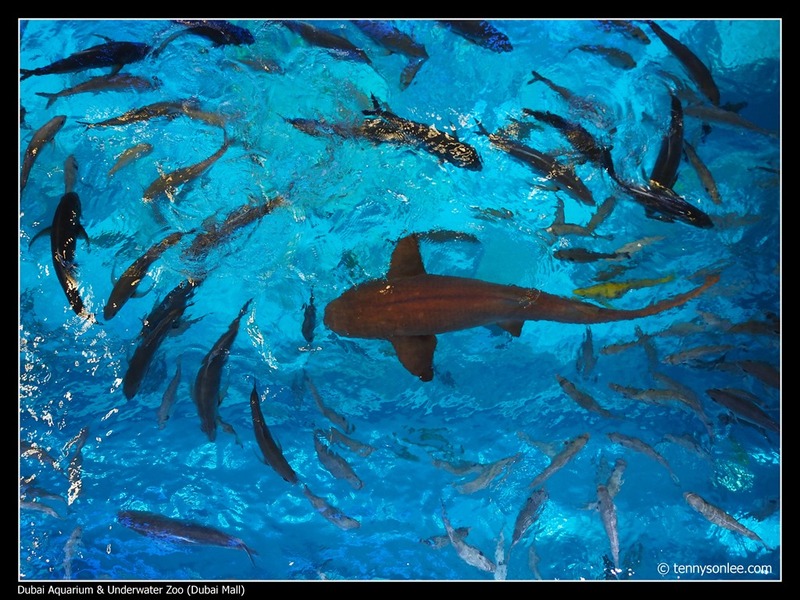 Visitors can choose different packages such as feeding the fish, or dive with the sharks. 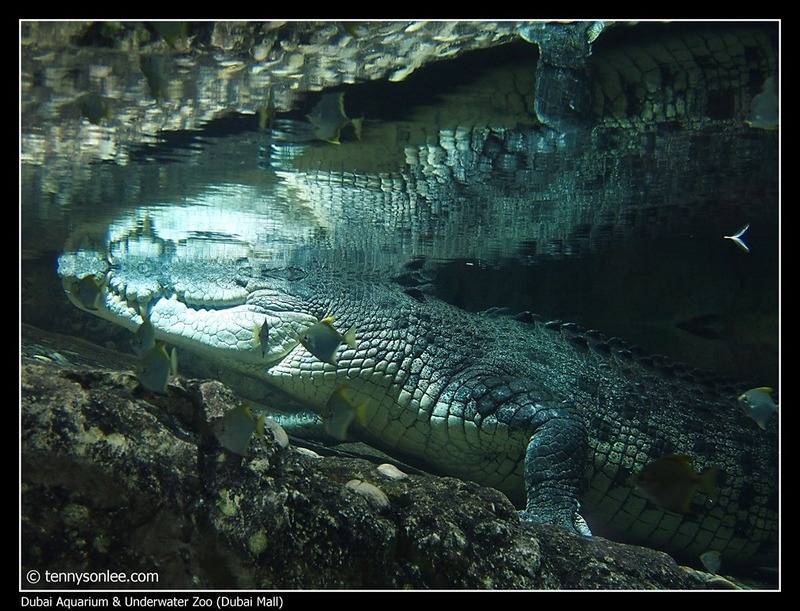 You can visit the 5m king croc, do watch out for the feeding time to see how this 750KG croc leaps out of water to catch the (chicken) feed. I like the jelly fish having slow Waltz dance with the changing light. 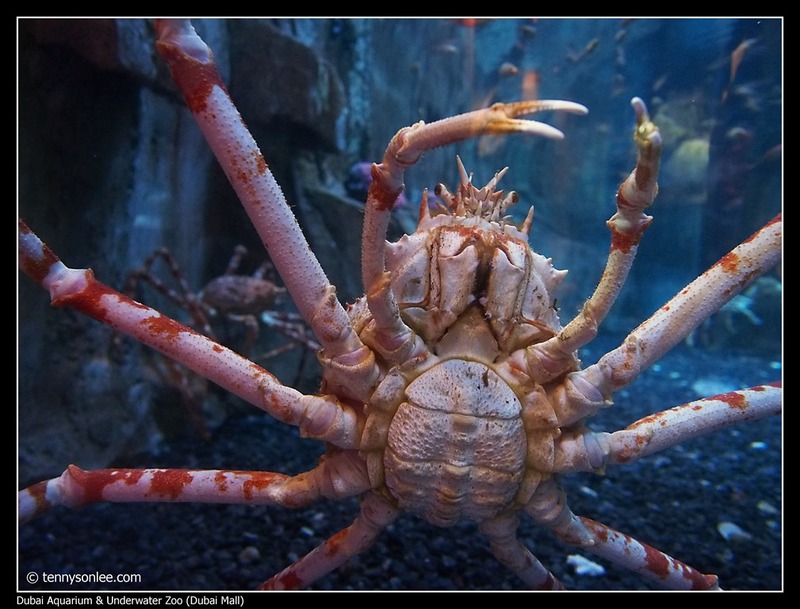 The giant Alaska crab reminds me of the Japanese meal. The low lighting and constantly moving creatures make it quite challenge to take pictures. 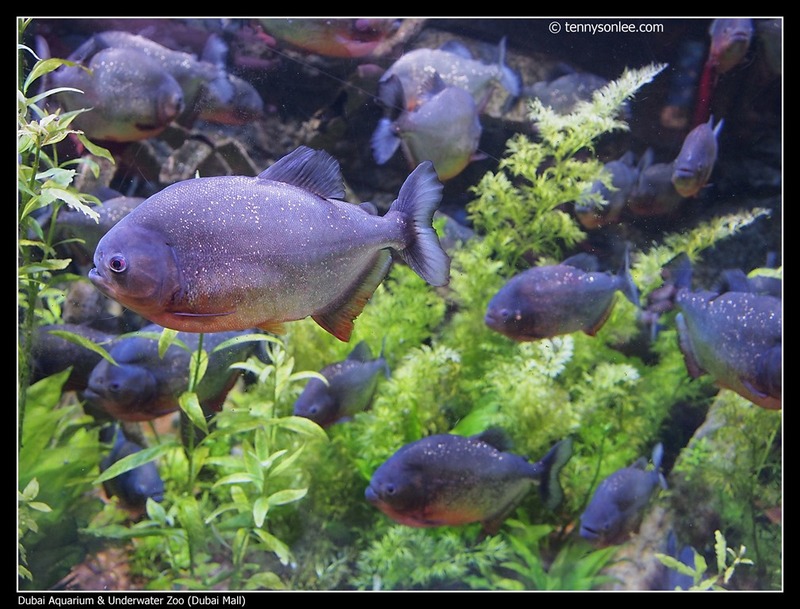 Some visitors need to be reminded not to use flash inside the aquarium. The animals are not trained as celebrity to stand the bombardment of the flash guns. 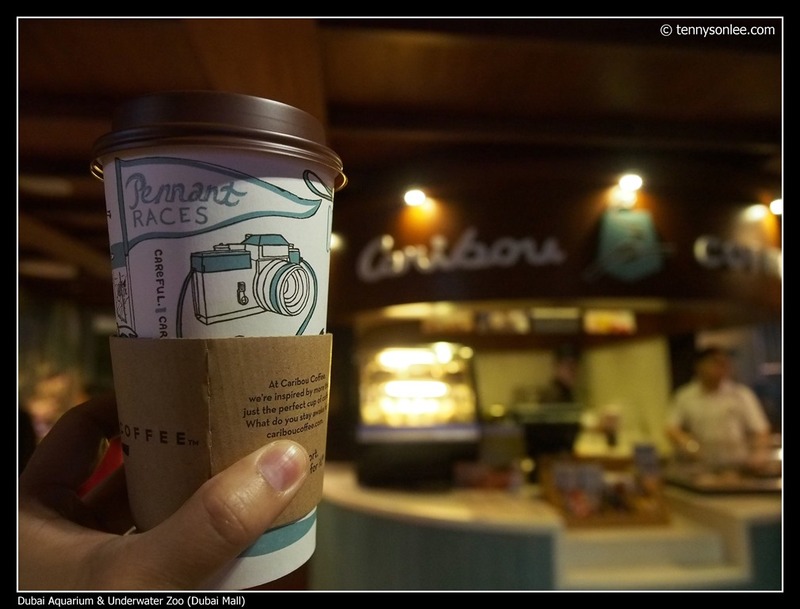 My little surprise was when I ordered a coffee at Caribou Coffee inside the aquarium, I was asked to take a picture with their VIP because I am first customer as they just open the shop. Cool (but I did not get away with a free drink). 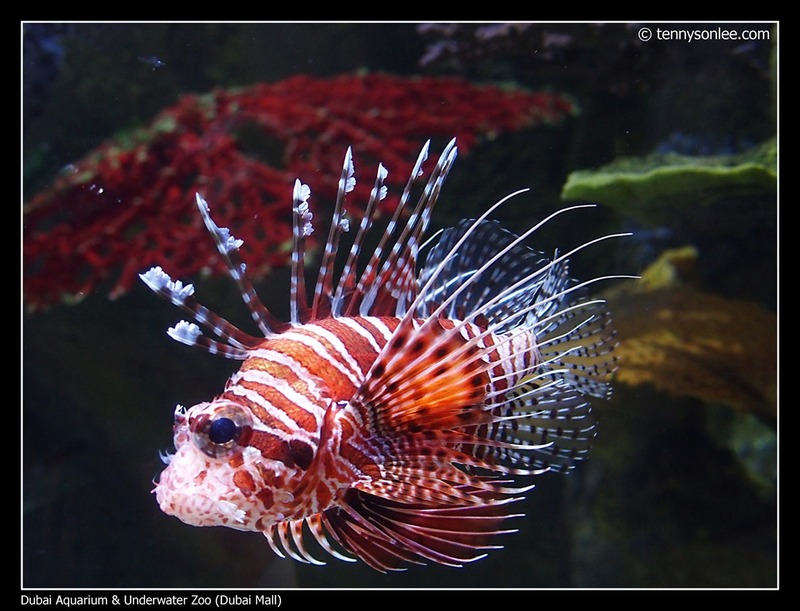 This entry was posted on September 21, 2014 by Tennyson. 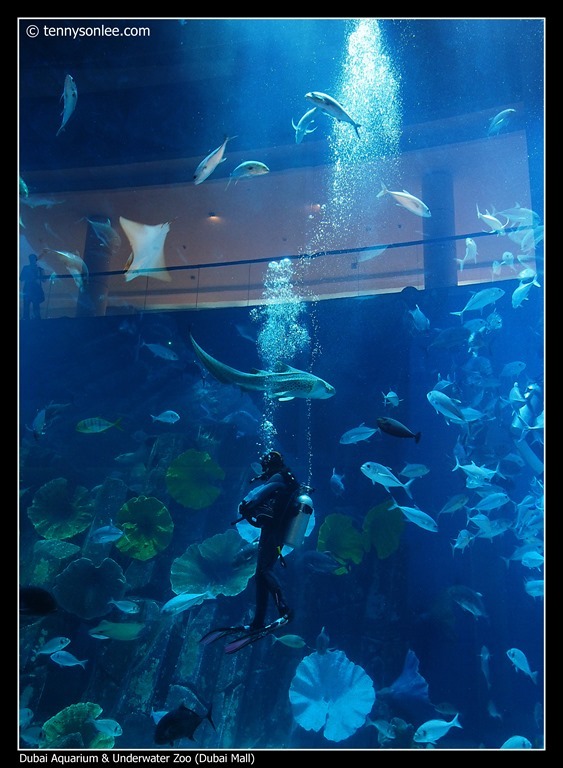 It was filed under Dubai, United Arab Emirates (UAE) and was tagged with Animal, Aquarium, Caribou Coffee, King Croc, Underwater, Zoo.